Editor’s note: This post was written byÂ Zak Maqsood, a serial online entrepreneur, having been part of the founding team of the fastest growing tech company in the UK, MVF Global, built and sold the UK’s #1 Games CPA network and is currently co-founder of AddPlay, a Casual Games Ad Network helping publishers to monetize their traffic. Online games have become one of the biggest past times of the decade so far. However, a lotÂ of bloggers are not capitalizing on the opportunity this represents, partially due to the stereotype of gaming being associated to the male demographic. However, did you know that 52% of women are gamers? The rise of mobile content consumption has completely changed the demographics of the games industry. The user base of mobile hit Candy Crush, is over 60% female, with 42% of these players between 21- 35 years old and almost 40% above 35 years old. This huge shift in the demographics of an industryÂ has opened up a huge opportunity for bloggers, allowing them to monetize a much broader audience to maximize their revenue potential. To monetize your audience with games, there are several strategies you can use. Here we pick the strategies that have had great success. A game portal is a content section on your site where users can choose from a selection of games to play and can play them within your website. Getting a game portal on your site is a great way to turn your content site into a hub where your readers can spend more time on your site. Offering your users a good selection of games will engage a higher number of people. This translates into repeat visits and more advertising revenue. Guess what users who play your games will also do? Yes, they will read your core content more frequently as well. Embedding games within your articles can offer bloggers many benefits. One of the most successful ways of monetising is through pre-roll video ads. When users click on the Play button, you can show them a video ad. Video ads typically earn about 5x the CPM of a display ad so this can be highly beneficial for your eRPM. Users that play a game will increase their time on that page which will therefore increase your average session duration. This will lead to a higher volume of ad clicks and higher revenue from your existing ad networks, such as Google Adsense. 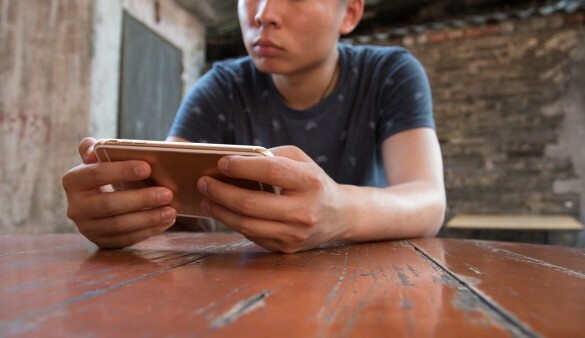 Using these tactics individually or a combination of both of them can make a huge impact on your eRPM, but to do this effectively it’s important to consider which games will work best with your audience, so both you and your users get the maximum benefit. If your website, has both a male and female audience, it’s generally better to embed a casual game. Furthermore, games that are familiar to users eg. Sudoku or 2048 tend to work much better, as familiarity often leads to a higher CTR to play. The next step is to acquire the game(s) and integrate into your site. It’s important to use HTML5 games as these can be played across mobile, tablet and desktop devices and are supported across all browsers (as opposed to flash). The 3 options to acquire games are custom-build, licensing or white-label. Getting a custom game built will cost in the region of $10k per game. Buying a license for an existing game costs around $999 and this is usually for single domain use. Using a white label service, you can either pay on a usage basis or get the games for free where you share the advertising revenue. Getting a custom game built can be a good solution for the long-term but is expensive, takes lots of time and requires more technical expertise. This approach usually works well for the biggest content sites such as AOL and Yahoo. Using a white label provider, such as AddPlayÂ eliminates any expenses and is quick to set-up with no technical expertise requires, which will to generate higher profits much sooner. If you have a strong journalism team, creating content around the games industry can be another good source of income for your website. There are hundreds of advertisers in the games industry which buy traffic on a CPL (cost per lead), CPS (cost per sale) and CPI (cost per install) basis. This opens up lots of content building opportunities where you monetize links within your articles. Some methods of doing this can be to write reviews of existing games, guides on playing games, reviewing the latest game releases on the iOS app store, Android app store or if you want to focus on a niche audience, Xbox and Playstation games. Other additional angles to create content are research into the benefits of playing games, reporting on the trends within the games industry or the fast growing e-sports industry. In order to monetize the links within your site, you can join a Games CPA networkÂ such as Crobo. Social media channels such as Facebook are used by people during their spare or filler time. This is a great opportunity to engage users with your content, which is why many entertainment sites, newspapers and blogs get lots of traffic from Facebook and other social media channels. As well as news content, interactive games are a great hook on social channels. If you have games embedded within your articles, or have a game portal hub on your site, you can post on Facebook page or tweet to entice an audience to visit your site from Facebook, Twitter or other social channels. This is a very effective way to not only get your loyal users back into your site but also to acquire new users. These new users will then not only play your games but engage with your news content, making it a great way to boost your site’s traffic and grow your ad revenue. Which of these strategies do you think will work best for your blog? I would love to learn how to monetize my site – so using your article as an impetus maybe at some point I can do that. Great article. I have used puzzles on my site for many years. I started cheap by using Jigzone which allowed me to use my own images but post them on my site for free. By adding a puzzle a day I was able to steadily build up my own portfolio. Later I hired a programmer to design my own puzzle script. Unfortunately when I moved my website from one place to another the puzzles did not move. So presently they are in limbo. Sigh. On my present site now, I have added games such as WordSearch, Hangman and Memory games that I found for as little as $16 per script from http://codecanyon.net/category/html5/games – Each of these games I was able to edit and add my own content. I did need the help of a programmer to get some of them on my site – the tutorials are pretty good though to do it yourself. My favorite games to work with now are the memory games – and I add new ones for the holidays which helps me to take advantage of seasonal traffic using seasonal keywords like thanksgiving games, Christmas, etc.